We bought our house around this time last year after more than three months of searching and negotiating. Even though it is believed that winter may not be a good time to buy a home (we started looking in December 2009) because of a smaller inventory, the purchase was made as we were trying to catch the deadline of the tax credit. But that wasn’t the only reason we kind of hurried the transaction. We like the house a lot and we also liked the mortgage rates at that time, both contributed to the quick decision we made. Since then, mortgage rates have fluctuated quite a lot, but overall remained at their lows. According to Bankrate.com, the current national average rates for 30-year fixed mortgage is 4.85% APR, while for 15-year fixed loan, the average rate is 4.06% APR, making it a good time to lock in a good rate, whether it’s for first purchase or for refinancing an existing mortgage. If you are considering your options, you may want to check out CapWest Mortgage for your home loan needs, especially if you have good credit. 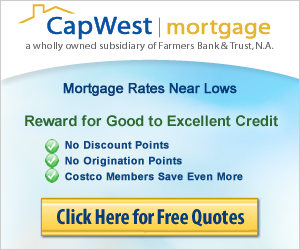 CapWest Mortgage is also a Costo approved lender. This means that if you are a member of Costco, whether at Goldstar level or Executive level, you can save even more with CapWest using your Costco membership. For details on how much you can save on mortgage costs with your Costco membership. According to CapWest, lender fee is capped at $600 for Executive members and $750 for other levels of membership. As you can see, the current rate of a 15 year fixed rate loan is only slightly higher than what we got last year. BTW, CapWest is a partner of Credit Sesame. 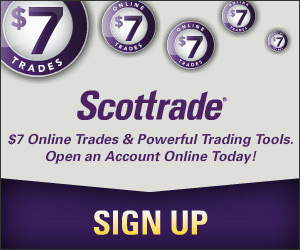 If you are using Credit Sesame, you can find out much easier if CapWest can give you a good rate based on your credit. More about Credit Sesame can be found in my Credit Sesame review post.